devoted to trial work. Paul has tried scores of cases to verdict including premises liability, automobile negligence, professional malpractice and products liability matters. Paul also has extensive experience representing public entities in defense of personal injury, wrongful arrest and civil rights actions in both state and federal courts. He has defended doctors and nurses in significant medical malpractice matters and was for many years the “go-to” trial attorney for Shop-Rite stores in defending slip and fall suits. In addition to trial work, Paul is a member of both the Union County Bar Association, where he was President from 2004-2005 and the Middlesex County Bar Association where he sits on the Civil Trial Practice Committee. He sits on the Union County Civil Bar/Bench Committee at the request of the Assignment Judge and lectures extensively in both venues. 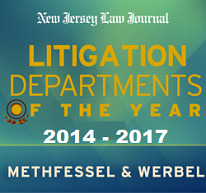 He has given seminars to the Union County Bar on “Prosecuting and Defending “Tevis” Claims”; Police Claims brought under the New Jersey Torts Claim Act; and participates annually in providing a review of newly enacted evidence rules to young lawyers. Paul also gave a lecture on a newly enacted statute on Conditional Dismissals in the Municipal Courts at the request of the presiding judge of the Municipal Courts in Middlesex County. Paul can be found working directly with clients to help them in their legal education. He would often give seminars at Saint Barnabas Medical Center on Risk Management and proper medical record retention, and risk prevention while working with Shop-Rite. Paul also devotes time to the Legal Profession. 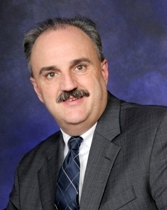 In addition to being President of the Bar Association he was voted Professional Lawyer of the Year by the Union County Bar in 2010, sits as an arbitrator, and is a member of the bar panel for Middlesex County. Paul also works with New Jersey High School students through the State Bar Foundation in the High School Mock Trial Competition.